Spirited Sandra Lee in hospital. 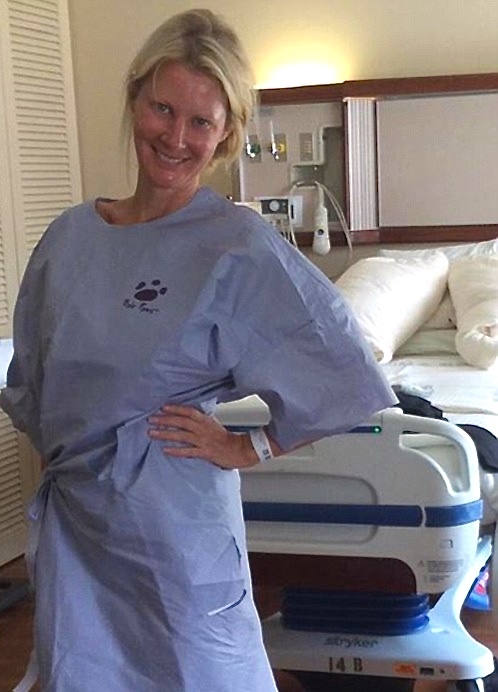 Sandra Lee, Food Network star for more than a decade, has undergone a new surgery following complications from her recent double mastectomy. News and gossip media immediately ran photos of her — alongside her longtime live-in partner, New York Gov. Andrew Cuomo — giving a thumbs-up sign as she left the New York hospital Wednesday, Aug. 12, a day after the two-hour surgery. "Everything went well," said Cuomo, "so it's all good." 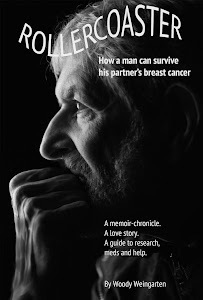 Cuomo, who's been Lee's boyfriend for a decade, has assumed the role of prime caregiver, one with which I, Woody Weingarten, author of "Rollercoaster: How a man can survive his partner's breast cancer," am totally familiar. Staffers had reported on Facebook earlier that she seemed "to be back to herself" in the hospital, "rearranging flowers on the table, cleaning countertops and organizing seating for her visitors." 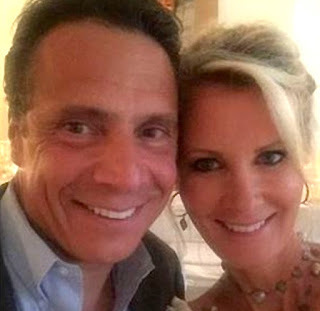 Facebook post: Sandra Lee, Andrew Cuomo. Lee had explained on Facebook that she chose the new surgery when a painful fluid buildup and infection followed the original operation. 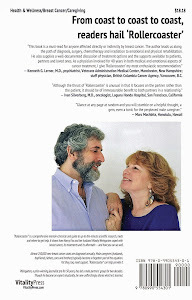 She called the infection an "incredible monster," and said she'd done everything possible "to avoid" the second operation — including modern Western, Eastern and holistic treatments. Just before her release, her staff wrote that Lee was "up and energized" to go home. Her recovery, they indicated, would probably involve intravenous infusions because she need "massive antibiotics for a couple of weeks to fight against infection." Lee, a Daytime Emmy winner who's released 25 books (including a memoir), apparently will need nursing care during that time. The 49-year-old, known for her show, “Semi-Homemade Cooking with Sandra Lee,” which premiered on the Food Network in 2003, underwent her first operation in May after being diagnosed with breast cancer.